This one is from a stage in New Orleans. The story itself is simple and to the point. In my list of global clients, I encounter far too many people and leaders who subscribe to the idea that if they are going to do something, they need to do it absolutely perfectly the first time around. In my view, this doesn’t fit within the fast economy of today. Take a look around at successful innovators, and they are willing to do something fast, see how it worked, and try again. Obviously quality and risk issues come into play. 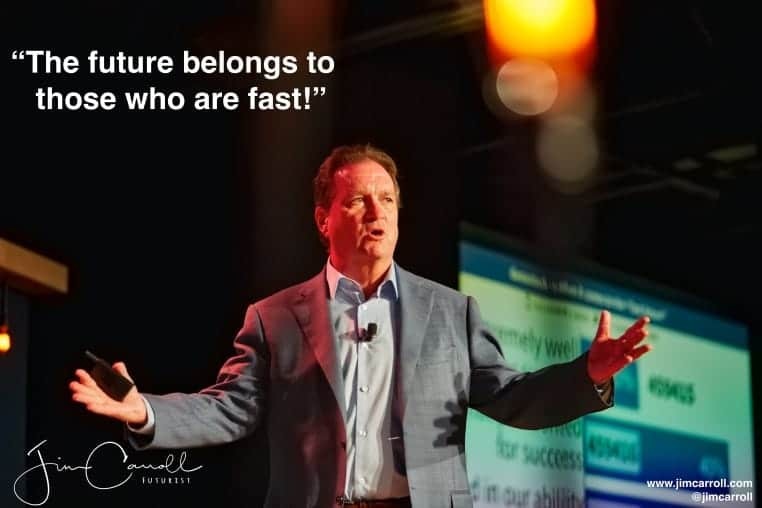 This is a software and logistics company in the fast moving trucking industry – my keynote was all about the future of autonomous trucks, bio-connected driver monitoring, the fast change occurring in the logistics/supply chain industry and more. There’s a blog post about it here. I’ll have another! I’m doing more and more in the automative/trucking, and general transportation space – to such a degree, I’ve rolled out a separate keynote description: Accelerating the Auto and Trucking Industry in the Era of Self-Driving Vehicles.